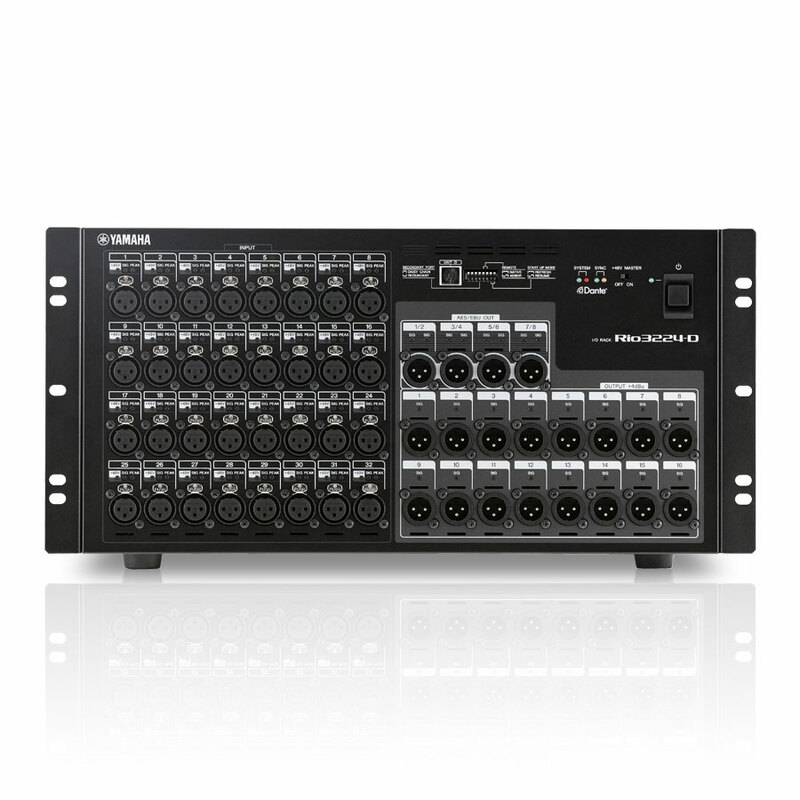 Yamaha Rio3224-D | PRO MUSIC, s.r.o. Harmonické zkreslení Less than 0.05% 20Hz-20kHz@+4dBu into 600Ω, Fs=44.1kHz, 48kHz / Less than 0.05% 20Hz-40kHz@+4dBu into 600Ω, Fs=88.2kHz, 96kHz INPUT to OUTPUT, Input Gain = Min. Crosstalk –100dB, adjacent INPUT/OUTPUT channels, Input Gain = Min.